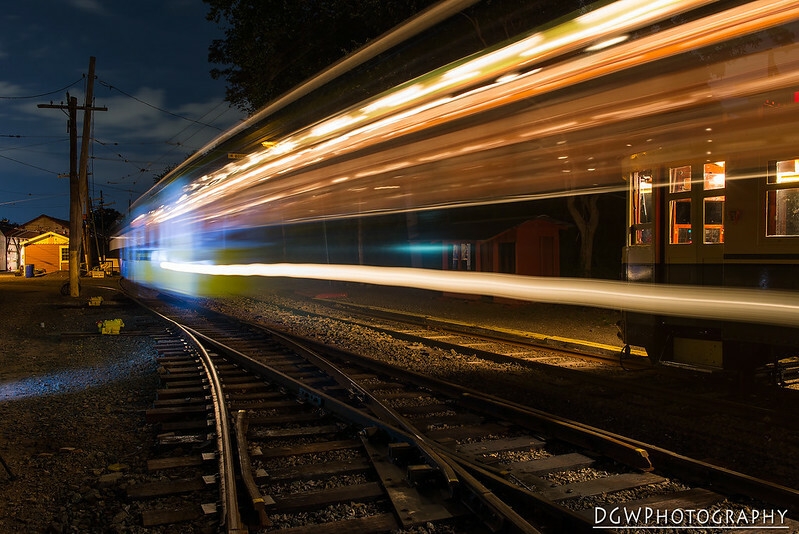 Light Painting, Portraiture, and Trolleys, Oh My! 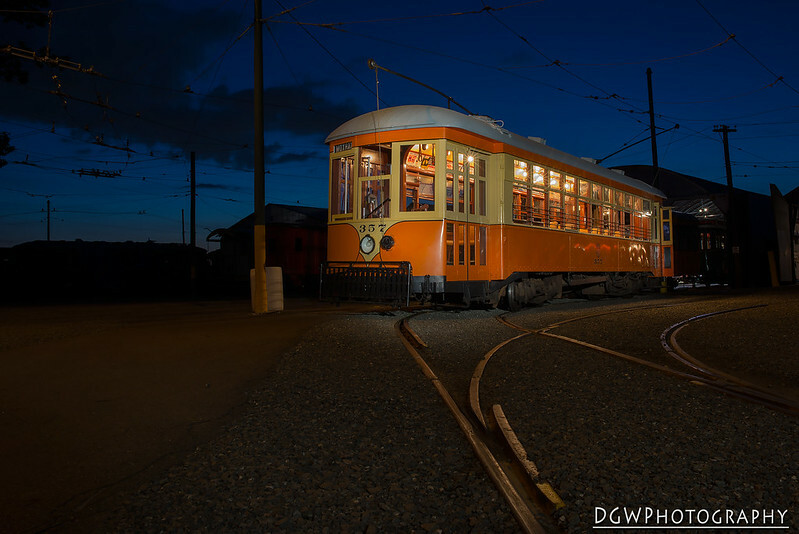 When Milford Photo announced their annual Shoreline Trolley Twilight Shoot, I wasn't sure what to expect, other than being able to play with light painting at night. 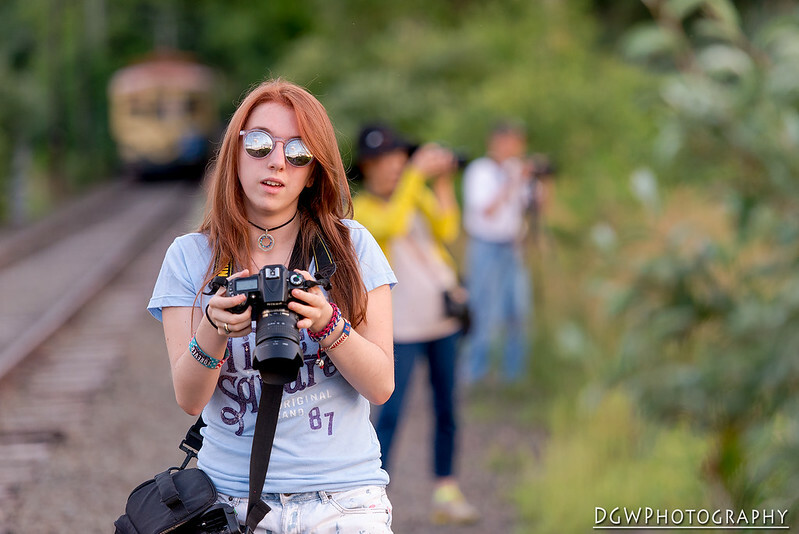 My youngest came along so she could practice a little with her camera, and get some good shots for her art class. Mostly, I just took advantage of being able to take some portraits of her in her element. 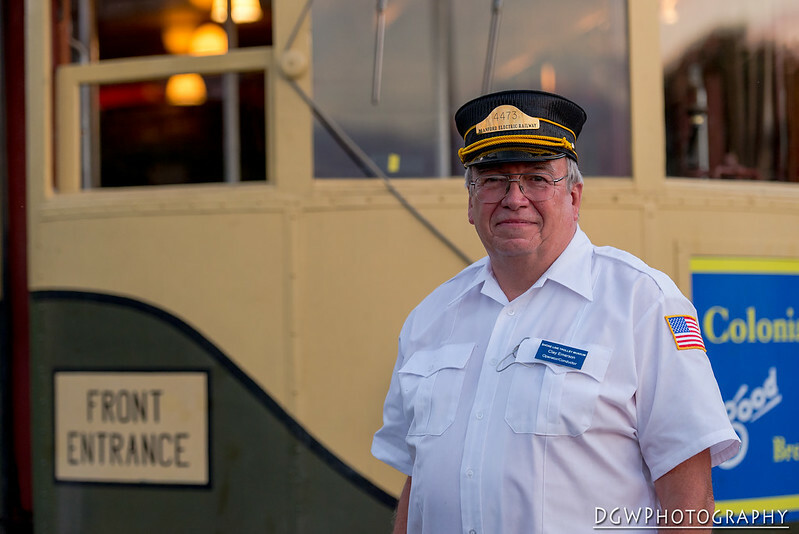 Speaking of portraits, Clay, our conductor for the evening, was extremely patient with the horde of photographers, and even posed for an impromptu phot shoot. 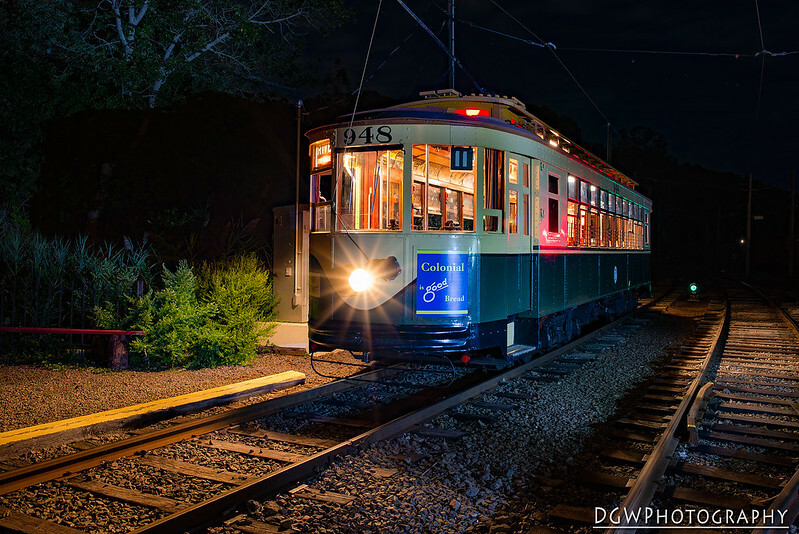 We stayed late into the night, and played with light painting, and even convinced the conductors to move the trolleys up and down the tracks so we can try a few things.